Finding art that is the right size can seem like a challenge, just know that big is good! 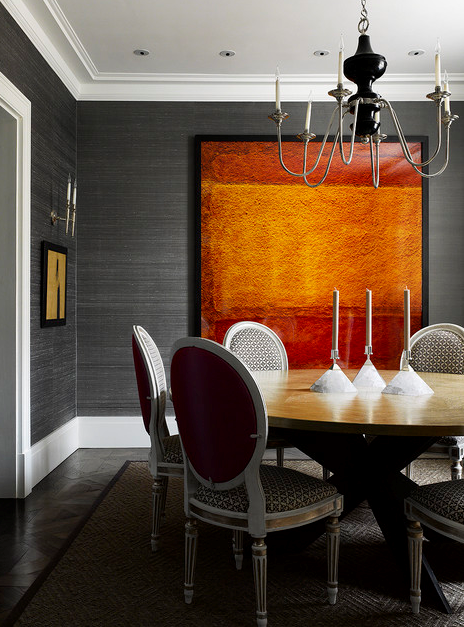 A large piece of art will actually make a small room look larger (in most instances). A large piece of art can bring a sense of calm or relief to the room. It’s best if not every wall have a busy grouping of small art. People tend to pick art on one criteria – ‘how does it make me feel’? But there’s more to consider! 1) The size & shape of art will greatly affect your room. 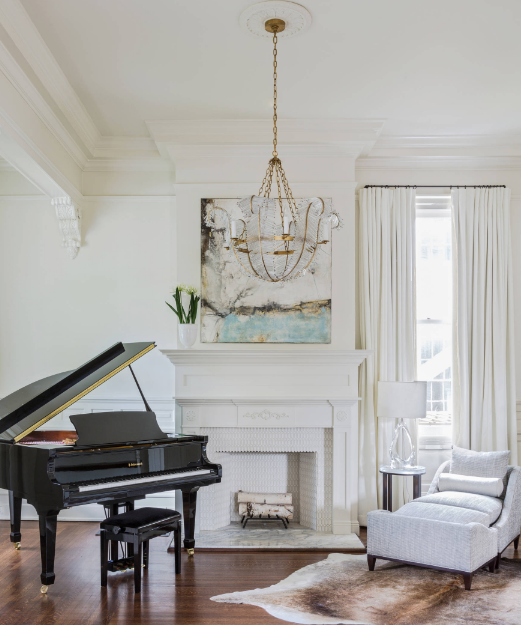 A tall vertical piece will trick the eye to make your ceilings appear taller. 2) Size and scale is crucial. If your furniture or your room is large, your art should be large as well. 3) Consider mixing styles. If your furniture is traditional, you’ll can achieve a fresh updated feeling through contemporary art. If these pieces are too contemporary for your taste, know that there are many options, and the right art can really transform a room! 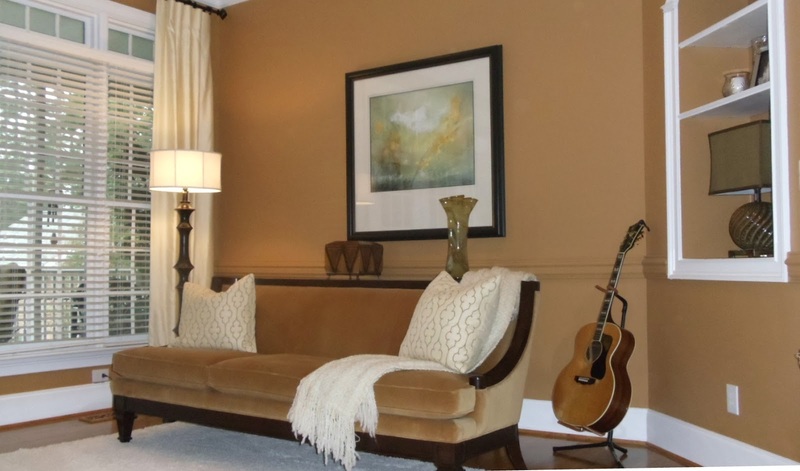 We added the art above to a Greensboro, NC home to update traditional mahogany furniture. 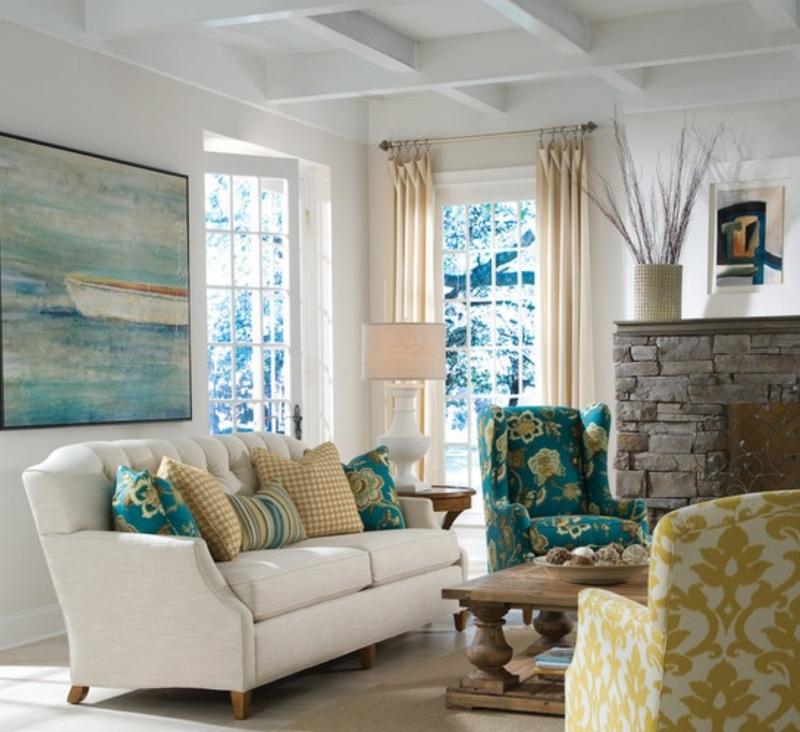 Art in the right size, that isn’t too small for a large room & large furniture is crucial. Try both medium size and large on the wall, this hands on approach will help you visualize both! Selecting the right size art can make or break a room, it’s worth trying large art to see what it achieves! Should the wife or the husband makes the decorating decisions? The art in the craftsman style home picture is my favorite ! Vertical art will take your eyes to the top of an open space. Gives dimension to your room. 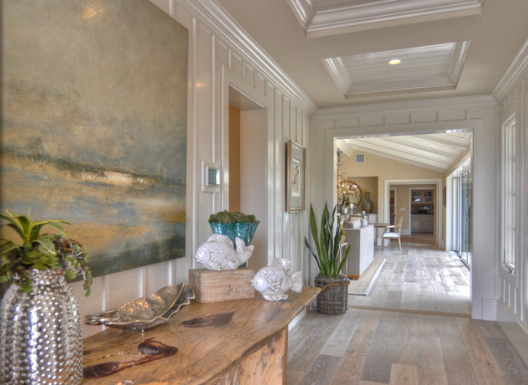 Adding horizontal art will fill in those long blank walls and change the feel of the room.